The following press release from three UN human rights Special Rapporteurs addresses the Saudi Arabian government’s demolition of the historic neighborhood of al-Masora (al-Musawara), in the village of Awamiya as the action causes harm to the historical and cultural heritage of the area and leads to the forced eviction of 2,000 to 3,000 people from their businesses and residences. Awamiya happens to be located in the eastern province of Qatif, where the Shia community is concentrated. Al-Masowara is considered a historical model of a walled village, including mosques, farms and farmers markets, hussainiyat (congregation halls for Shia commemoration ceremonies) and businesses. The Saudi government has said it wants to remove and redevelop the ancient neighborhood of Al-Masora (al-Musawara) for health and safety reasons. Shia activists, however, say the Saudis want to eliminate a hideout for militants trying to avoid police. GENEVA—The United Nations experts on cultural rights, adequate housing and extreme poverty today called on the Government of the Kingdom of Saudi Arabia to immediately halt the ongoing demolition of a 400-year-old walled neighborhood in Awamiya. “Despite our attempt to raise concerns and seek explanation from the government about the planned destruction, bulldozers and demolition vehicles, assisted by armed military forces, have reportedly started on 10 May to destroy buildings and homes in the walled historic neighborhood and in other areas of Awamiya, causing injury, deaths and material losses to the civilian residents,” the group of UN experts said. “Historic buildings have been irremediably burned down and damaged by the use of various weapons by the military, forcing residents out of their homes and of the neighborhood, fleeing for their lives,” noted the Special Rapporteur in the field of cultural rights, Karima Bennoune. “These destructions erase the traces of this historic and lived cultural heritage and are clear violations of Saudi Arabia’s obligations under international human rights law,” she stressed. 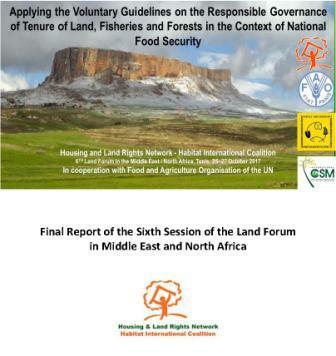 The UN Special Rapporteur on the right to adequate housing, Leilani Farha, also warned that what is occurring in al-Masora constitutes a forced eviction under international human rights law. “Residents have been displaced. Many have been compelled to relocate to other cities and villages, some are living with relatives and many have lost their homes, their personal possessions and also their source of livelihood,” she said. “Public and private institutions, such as schools, shops and health centers are paralyzed and the whole neighborhood seems to be under siege,” noted the Special Rapporteur on extreme poverty and human rights, Philip Alston, who also raised concerns about reported additional power cuts since 18 May and the suspension of many services in large areas of the city. The three human rights experts have been monitoring the situation since January 2017, when electricity cuts and other methods were used to pressure people out of the neighborhood without adequate resettlement and housing alternatives or compensations plans for their loss. Last month, the UN experts sent an official communication to the government raising concerns about the historical and cultural value of al-Masora, the forced evictions of its residents and the impact of planned demolitions on the livelihood of the residents See press release of 5 April 2017. “So far, no answer has been received to our queries. The only reply has been these violent actions which have ignored our concerns,” they said. “We demand that the Saudi authorities immediately stop this demolition of cultural heritage and historic homes, and restore the human rights of their citizens, including by making adequate reparation and compensation,” the UN experts concluded. Ms. Karima Bennoune (USA), Special Rapporteur in the field of cultural rights, Ms. Leilani Farha (Canada), Special Rapporteur on adequate housing, and Mr. Philip Alston (Australia), Special Rapporteur on extreme poverty and human rights; are part of what is known as the Special Procedures of the Human Rights Council. Special Procedures, the largest body of independent experts in the UN Human Rights system, is the general name of the Council’s independent fact-finding and monitoring mechanisms. Special Procedures mandate-holders are independent human rights experts appointed by the Human Rights Council to address either specific country situations or thematic issues in all parts of the world. They are not UN staff and are independent from any government or organization. They serve in their individual capacity and do not receive a salary for their work. For more information and media requests please contact Johanne Bouchard (+41 22 917 9630 / jbouchard@ohchr.org) or write to srculturalrights@ohchr.org. Saudi security forces have surrounded and sealed off the predominantly Shia town of Awamiya in July 2017 as they confronted an armed group hiding in a historic neighborhood slated for demolition, Human Rights Watch said today. The violence in the Eastern province, which began in May, has resulted in deaths and injuries among the residents, local activists said, and caused significant damage to the town, based on an assessment of satellite imagery. Residents and activists say that most residents have fled Awamiya, and those who remain lack essential services such as medical care. The town remains sealed off. Saudi Arabia announced plans to demolish and redevelop the al-Musawara neighborhood of Awamiya, Qatif governorate, in 2016, citing health and safety reasons. Demolition began on May 10, after al-Musawara residents were evacuated, but met with armed resistance. Awamiya residents told Human Rights Watch that security forces have fired into populated areas far from al-Musawara, killing residents, occupied a public school, closed clinics and pharmacies, and prevented essential services such as ambulances from reaching the area. Security forces engaged in shoot-outs with an unknown number of armed men inside al-Musawara, and on July 26 brought in additional armored vehicles and sealed the town’s entrances and exits, residents and activists said. Awamiya has a longstanding reputation of opposition to Saudi rule and has been the site of protests about government discrimination against Saudi Shia. It is the hometown of a prominent cleric, Nimr al-Nimr, who was executed in January 2016 over his encouragement of protests in 2011 and 2012. The execution sparked a series of events leading to a breakdown of diplomatic relations with Iran and heightened sectarian tensions across the Gulf region. On July 28, Canadian Foreign Minister Chrystia Freeland stated that she was “deeply concerned” about photos purporting to show Saudi security forces using Canadian-made Terradyne Gurkha RPV-model armored vehicles. She ordered an investigation into how Saudi forces are using the vehicles. Saudi forces have also deployed another type of armored vehicle manufactured by the South African company F & R Catai to Awamiya. The automatic cannon in this vehicle’s turret can penetrate and cause considerable damage to buildings and other infrastructure. Human Rights Watch analyzed satellite imagery that shows extensive damage to the neighborhood and the town’s main commercial street bordering it. While much of the damage is due to the demolition, the images also show buildings and areas damaged by the violence. Activists and residents said the armed men are on most-wanted lists authorities have issued since 2012 for protest-related crimes in the area. Saudi Arabia announced on August 10 that security forces had forced nearly all “terrorists and criminal elements” out of al-Musawara, and authorities took international journalists on a tour of the neighborhood on August 9. Saudi activists said the violence has killed more than a dozen people, both Saudis and foreigners, in addition to at least five armed militants. A Saudi Interior Ministry official told Reuters that eight members of the police and four members of the special forces had been killed. The Saudi authorities have not released information on resident casualties. Reuters reported that a 3-year-old boy died on August 9 from injuries suffered when an armored vehicle fired on his family’s car in June. Remains of cars and buildings are seen following a security campaign against Shi’ite Muslim gunmen in the town of Awamiya, in the eastern governorate of Qatif, August 9, 2017. Saudi authorities should immediately investigate the circumstances of all casualties related to the use of force by police and security forces and hold security forces accountable if it is shown that they fired at residents unlawfully, Human Rights Watch said. Five residents interviewed said that Saudi security forces have put people in Awamiya at risk, arbitrarily shooting at or arresting those who emerged from their houses. The residents said that to their knowledge Saudi authorities never issued an order for people to leave Awamiya, and their only chance to leave safely has been for short periods allowed by security forces since July 26. The residents said that local volunteers and activists coordinated the evacuation without assistance from Saudi authorities. They said that security forces turn away anyone who attempts to return to Awamiya to check on relatives or recover property or possessions. Local residents said that people have been fired at and injured in areas such as al-Shukrallah, al-Jumaymah, and al-Rif neighborhoods, which are west of security forces who are stationed between these neighborhoods and al-Musawara to the east. The residents said they had not seen any armed militants in these areas. The five Awamiya residents and three activists close to the situation said that a majority of the town’s inhabitants fled after security forces escalated the situation on July 26. They said that most fled between July 27 and 28 when the town’s electricity was cut off for more than 24 hours, leaving people exposed to temperatures of up to 50 degrees Celsius (122 Fahrenheit) without air conditioning. Residents and activists said that the electricity grid had been damaged by gunfire, but did not know who was responsible. The residents said that security forces closed all of Awamiya’s clinics and pharmacies in May, which they believed was to ensure that militants could not seek medical treatment. Since July 26, they said, security forces had not allowed emergency services to reach the wounded or taken steps to provide humanitarian assistance to people who remain there, though all the shops in the area were closed. They also said that security forces had occupied a boys’ secondary school, which borders al-Musawara, and circulated a video that they said showed government forces firing a rocket-propelled grenade from the roof into al-Musawara. Human Rights Watch independently verified the video location by matching landmarks and rooftop features visible in the video to corresponding locations in satellite imagery recorded during the fighting. Human Rights Watch also determined that the rocket-propelled grenade was fired into al-Musawara in the general direction of the Ahmed bin Mahmoud mosque. The Basic Principles further provide that, “[i]n cases of death and serious injury or other grave consequences, a detailed report shall be sent promptly to the competent authorities.” The findings of the investigation should be public and result in appropriate disciplinary action or prosecution. Saudi Arabian security forces should also refrain from using schools, which can cause damage or destruction to important educational infrastructure and interfere with children’s right to an education in safety. “Hadi,” a Awamiya resident who works on an informal committee assisting those fleeing Awamiya find places to stay, said that another member of the group, Mohammad al-Rheimani, was shot on August 3 while helping residents leave Awamiya at an area west of security forces’ positions, in the opposite direction from al-Musawara. Hadi said that he believes that 20,000 to 25,000 of the towns’ 30,000 residents had fled, most since July 26. He said that Saudi authorities had housed a small number of them in private apartments in nearby Dammam, but that the vast majority were staying with relatives or renting apartment across the Eastern Province. Photo in front page: Remains of cars and buildings are seen following a security campaign against Shi’ite Muslim gunmen in the town of Awamiya, in the eastern Governorate of Qatif, 9 August 2017. Source: Reuters. Photos on this page: Before: Satellite imagery © CNES 2017 - Airbus DS 2017; After: Satellite imagery © CNES 2017 - Airbus DS 2017. Source: Human Rights Watch.